The Ghost in the [Scanning] Machine promises real ghosts, actual hauntings, and necromancy by proxy. 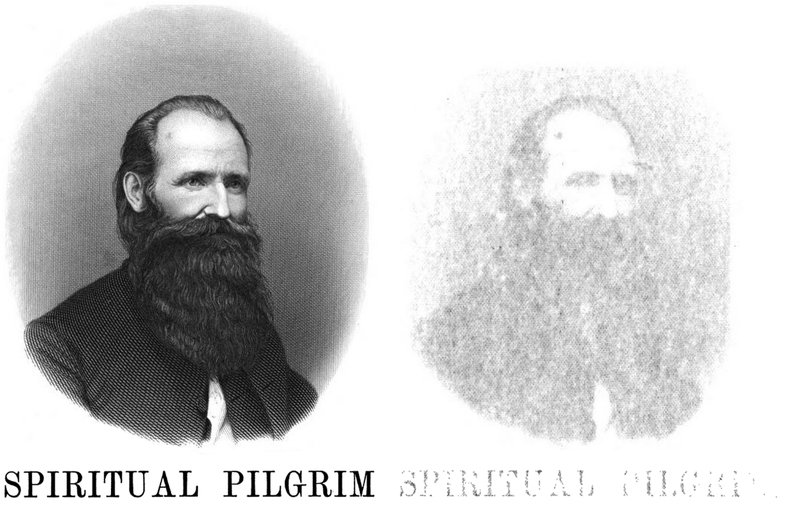 There's even a ghostly title page in The Spiritual Pilgrim, A Biography of James M. Peebles by Joseph Osgood Barrett, 1878. From Startling Facts in Modern Spiritualism by Napoleon Bonaparte Wolfe, 1874. See The Ghost in the [Scanning] Machine, which promises real ghosts, actual hauntings, and necromancy by proxy. A song sung dismally by a ghost. 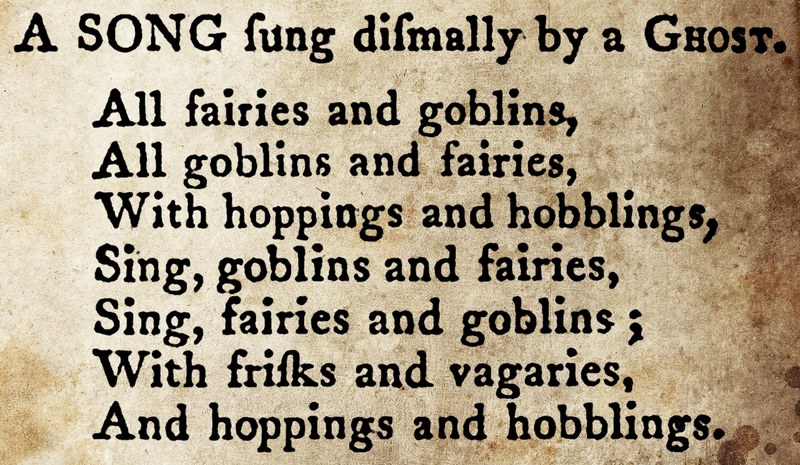 From The What D'Ye Call It by Mr. Gay, in A Collection of the Most Esteemed Farces and Entertainments, Performed on the British Stage, 1792. The final line of Only a Ghost! by Irenæus, the Deacon, 1870. 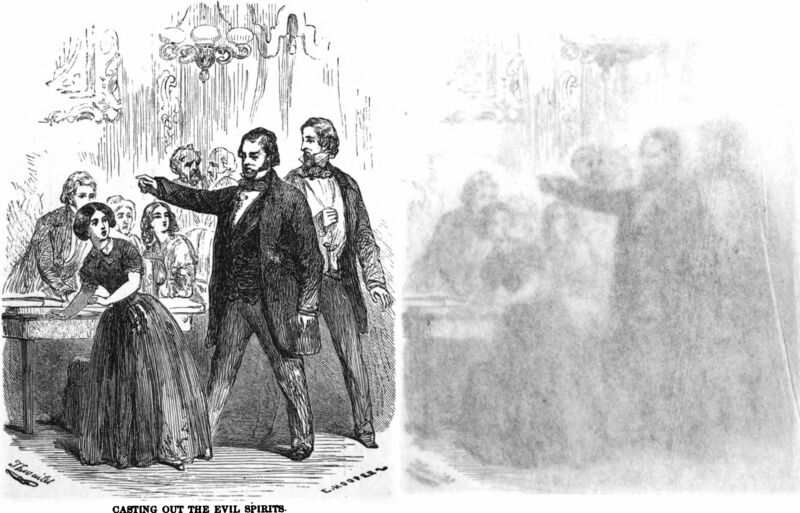 "Casting out the evil spirits," plus the same scene in the ghostly realm (courtesy of the scanning process at Google Books), from The Rappers, Or, The Mysteries, Fallacies, and Absurdities of Spirit-rapping, Table-tipping, and Entrancement by A Searcher After Truth, 1854. From Wayfarers in Arcady by Charles Vince, 1922. 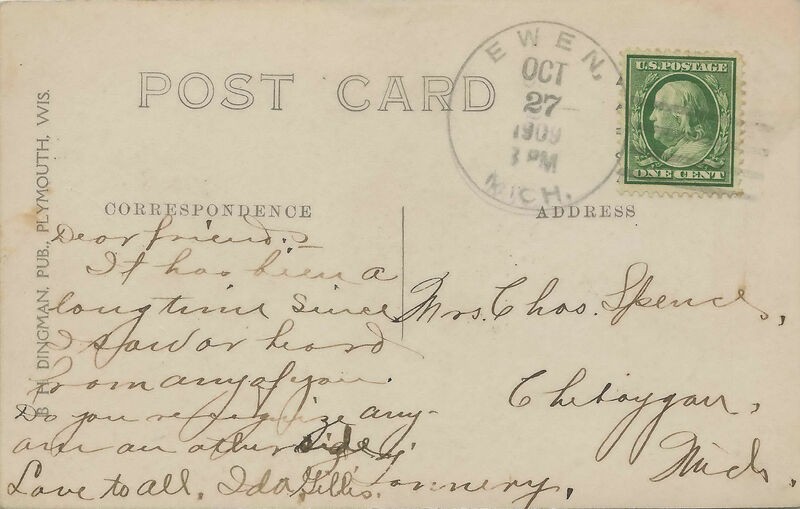 Here's a postcard written by a ghost, on October 27, 1909. The message reads, "Dear friend. It has been a long time since I saw or heard from any of you. Do you recognize any-one on other side. Love to all, Ida." This has long been a problem — those in the land of the living often have trouble discerning those who have departed to the other side. "Photography is inherently occult, a medium contacting the dead without contagion." Pictured below, a page from our book featuring a portrait from The Confessions of a Beachcomber. Note that the fisherman’s ghostly spear pierces the veil to make contact with the material realm. 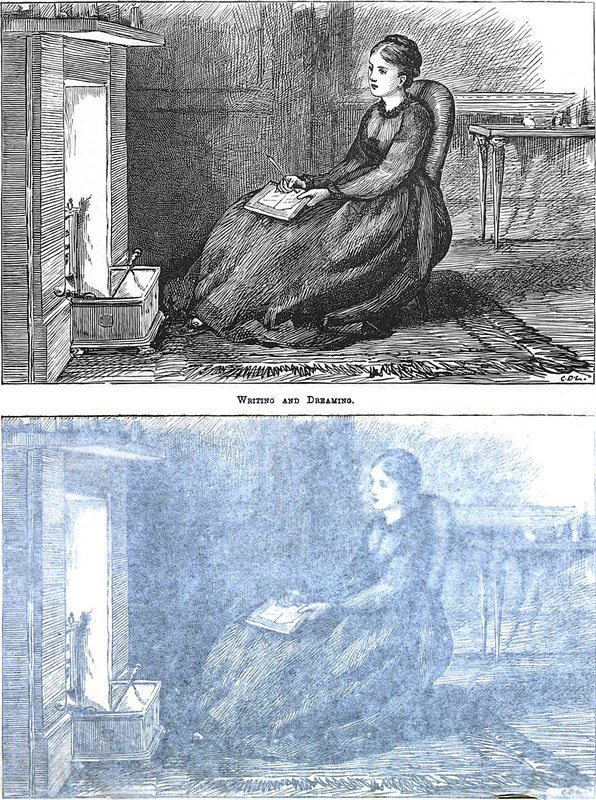 Writing and dreaming: an image and its gauzy double from Cornhill magazine, 1873. 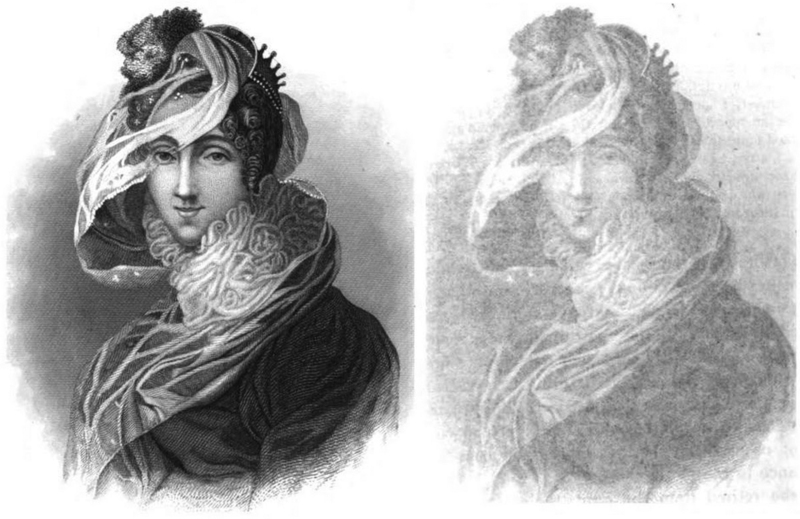 See the explanation of our repository of ghostly images here. See our explanation of this extraordinary project here. Portrait from The Life and Letters of George Bancroft. Title page from The Ghost by Charles Churchill. Portrait of Thomas Edison from Men of Science. 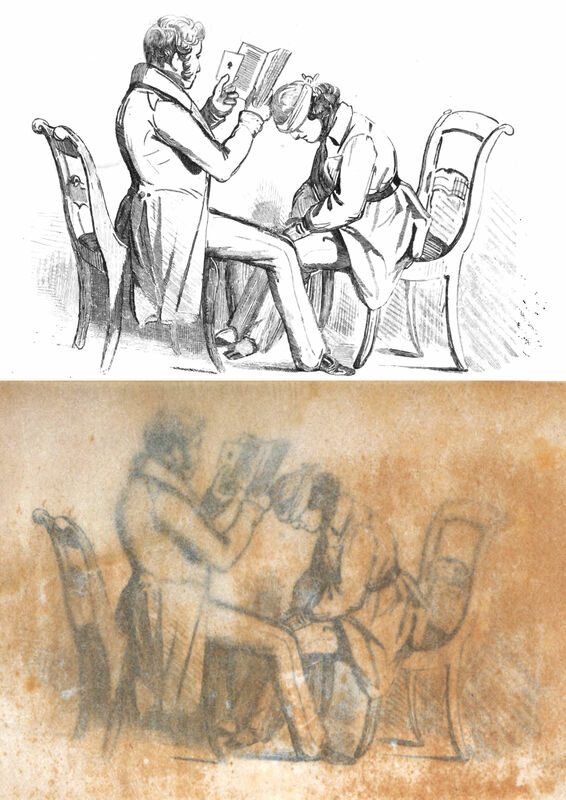 Portrait from Memoir of William Carey. 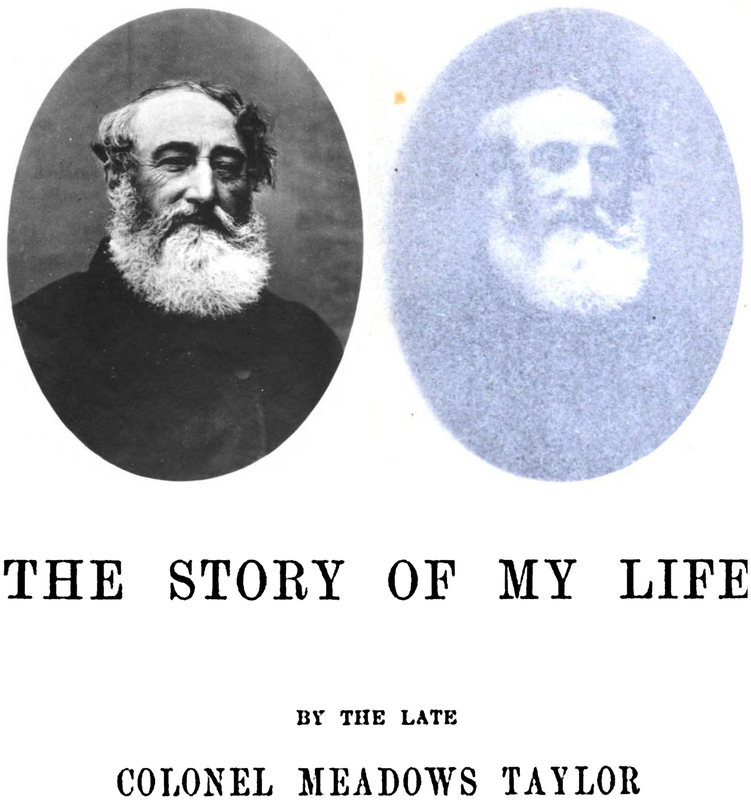 Portrait from Memoir of Maj.-Gen. George H. Thomas. Portrait from The Life of Captain John Smith. Portrait from Memoir of the Honorable Abbott Lawrence. 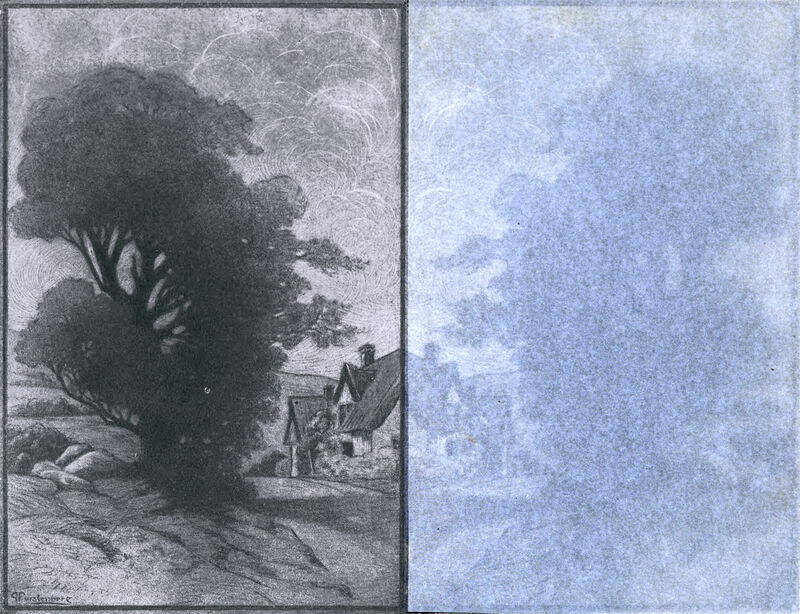 In this haunting, Laurence’s ghost appears four times, three of which resemble film negatives. Note also that the scanning machine has graced Laurence’s portrait with a striped aura.